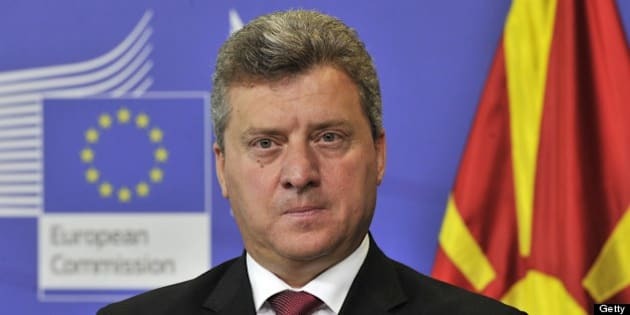 Gjorge Ivanov is the president of Macedonia, but you’ve probably never heard of him. It seems like the Canadian media and government haven’t either. Ivanov was on his first official state visit to Canada this week, but no one really noticed, according to the National Post. The 52-year-old (turning 53 on May 2), was elected president in 2009 and was previously a journalist and university professor. On Monday, he was in the City of Markham to celebrate the opening of three streets named after Macedonian landmarks and people, the Macedonian International News Agency reports. "It was impressive to attend a ceremony where the Macedonian anthem was played and where the Macedonian flag was raised and also where the Macedonian community was honored for its role in this mosaic called Canada," he said, according to Puls 24. Ivanov met with Andrew Scheer, House of Commons speaker, during his visit to Ottawa, saying "numerous initiatives and ideas" were reviewed. But despite the lack of publicity, it seems like Ivanov had a good time. "Based on all the meetings and talks we have held, I can say that the visit to Canada was highly successful, because many opportunities were initiated to strengthen the already established cooperation," he said.